Episode 90: Neil Jones: When I went to school to become a paramedic, the program was 6 months and there was no EMS degree attachment. This week we focus on EMS Education today with my guest Neil Jones. Neil is the Associate Professor and Paramedic Program Director at Community College of Allegheny College in Pittsburgh. Neil is responsible for development and teaching the curriculum for Paramedic Associate Degree and Certificate Programs. Neil with over 30 years of documented achievement and ... See More increasing responsibility in the healthcare environment. Expertise in the areas of strategic planning, fiscal planning, staff development, business plan development, medical education, disaster planning and management, emergency and pediatric emergency medicine. Recognized by peers and other leaders for a positive professional attitude, problem-solving abilities, team dynamics, leadership qualities and a strong sense of organizational commitment, purpose and mission. 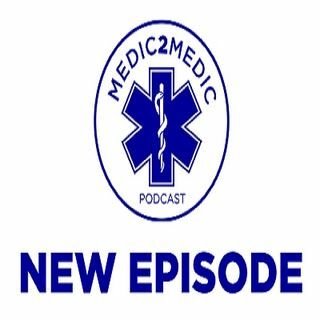 Neil and I discuss the changing environment in EMS education, his path into EMS and EMS Education, how we met and the future of EMS education.